Marist College Canberra Football Club participates in the Entertainment Books fundraiser. The club receives an amount for every book sold. The 2018 Entertainment Book is now available. With tons of discounts and savings on restaurants, cafes, attractions, activities, shops and hotels, it's good for your family budget and also a great fundraiser for our club. 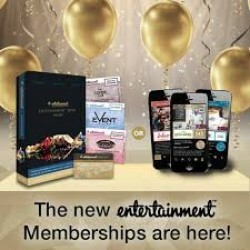 Get a hardcopy book at the Finance Office at school, or sign up for the digital version, which can be used on up to four devices, at https://www.entertainmentbook.com.au/orderbooks/24880u.